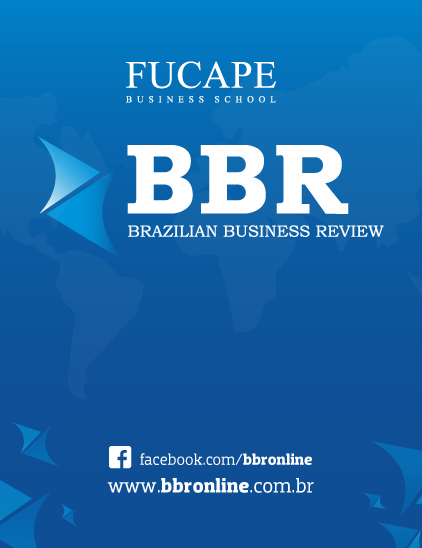 BBR - Brazilian Business Review publishes high quality research across all fields of business. Themes include, but are not limited to, management, accounting, controllership, finance, information management, innovation management, strategy, and economics. We welcome papers developed in public, private, or third sector organizations. Published six times a year, BBR is supported by FUCAPE, a top Brazilian business school. Altmetrics are metrics and qualitative data that are complementary to traditional, citation-based metrics. They can include (but are not limited to) peer reviews on Faculty of 1000, citations on Wikipedia and in public policy documents, discussions on research blogs, mainstream media coverage, bookmarks on reference managers like Mendeley, and mentions on social networks such as Twitter. REDIB is a platform for aggregating scientific and academic content in electronic formats produced in the Ibero-American space.